Our team comes from a wide variety of exceptional backgrounds in the financial services industry. As a group, majority hold advance degrees in all disciplines, from corporate banking to business administration, marketing, finance, English, engineering and law. We value and utilize the unique talents that each individual offers. 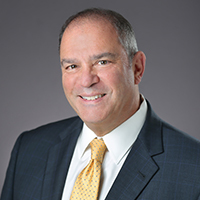 Paul Schaus is the President, Chief Executive Officer and Founder of CCG Catalyst a highly respected financial services industry management consulting firm. He leads a team of banking subject matter experts spread across North America. Paul has been a banker, management consultant and strategist for over 35 years, which includes over 10 years in consulting, and more than 25 years of executive management experience in the banking industry. He has advised clients and led major engagements globally including: strategy and business planning; tactical performance and profitability improvement; and governance and management development. He has advised hundreds of banks and vendors on business and technology strategies. Paul is frequently featured as a speaker at industry events, addressing diverse topics such as systems modernization, merger & acquisition, channel development and bank strategies. He has written numerous columns for publication and maintains an active agenda focused on bank strategies, innovation and the future of banking. 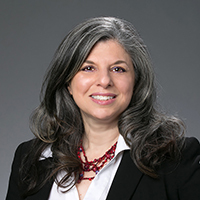 Tery Spataro is Executive Vice President and Director of Research & Insights. Tery oversees and shapes the research studies, lab curriculum, the design thinking process and experience that will help financial institutions seeking new ideas and innovation to keep ahead of technological distributions and changes in consumer attitudes towards banking. Tery held executive positions managing global and national divisions for top advertising agencies, co-founded STIR, one of New York’s first digital marketing and technology firms, and founded seven businesses. 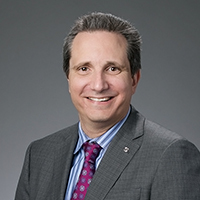 Jim Casale, Executive Vice President of Business Development and Client Relations, brings over 25 years of banking and fintech leadership to the firm. As a seasoned executive, he has generated top-line growth through his experience in product management, delivery, and business development. Jim focuses on challenges faced in the banking industry today, helping financial executives stay ahead and secure solutions for the future. He has served in community, mid-tier, and large banking business roles with multiple industry-leading payment processors. 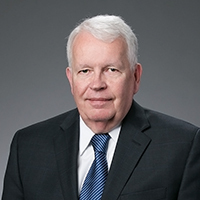 Jim was instrumental in supporting growth through acquisition and integration phases to optimize return on investment and prove value to shareholders. 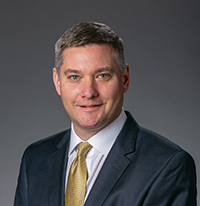 He is devoted to connecting industry leaders and financial executives with subject matter experts who develop strategy and implement essential enhancements for banks and fintech. 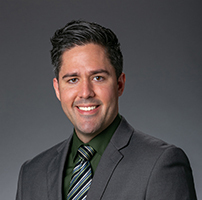 Roman brings over twenty years of credit union, bank and financial services leadership to CCG Catalyst with a strong background in business development and account management. He previously held senior leadership positions with QPS, CheckAlt and Sang Tech. An accomplished, dynamic executive with over twenty years of experience, including international business travel, in the credit union and banking industry with a primary focus on new business development, expanding market share, building revenue streams and relationship management. Roman possess a strong background and knowledge in core processing, credit/debit, ATM processing and risk and fraud management. Exceptional communicator, relationship builder, with a consultative sales style, exceptional problem-solving abilities with a keen needs-assessment aptitude. He aggressively identifies opportunities, develops focus and provides strategic solutions. Malia leads and manages the firm’s operations and information technology divisions. 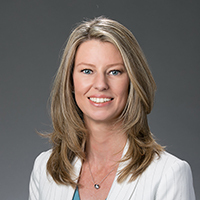 With over fifteen years in the banking and credit union industries, she has extensive experience in retail operations, consumer lending, mortgage banking and commercial finance. She is focused on executing the firm’s business plans and objectives while effectively managing processes both internal and external. She collaborates with the consulting and business development teams to develop and implement plans for the operations infrastructure of systems, processes and personnel designated to accommodate the needs of our clients. Phil has covered banking and fintech as a journalist since 2012 and was one of the most widely read writers in the field of financial technology. He also served as the director of a fintech startup accelerator since 2015. In this role he advised startups on product, marketing, and strategy, as well as coached them on interacting with banks. He also consulted with financial institutions on their innovation strategies, and strategies for fintech engagement. Prior to these positions he was a web developer and journalist, and began his career at the start of online journalism in the mid-1990s. Ben Gilstrap is the Information Technology Technician at CCG Catalyst. He has over five years of experience in IT and has worked with a vast array of technology tools, platforms and vendors. His key areas of focus include integration, automation and security. Ben’s operating system experience includes Microsoft Windows, Apple macOS and Ubuntu Linux. His cloud technology experience includes Microsoft Office 365, Google G Suite and DigitalOcean. His hardware experience includes setup of server rooms, configuration of enterprise-grade Wi-Fi networks and installation of structured cabling. Ben has an extensive IT background in the heavily regulated medical, insurance and financial industries. He has helped migrate several of these businesses to secure cloud technologies, resulting in significant reduction in IT expense and downtime. 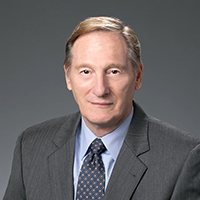 Alan Riegler is an acknowledged authority in financial services technology, operations, and products. He has guided clients in banking, insurance, credit, as well as, both established and start-up vendors in creating, building, deploying and excelling at technology-based “disruption” of the established financial services industry. Throughout his thirty plus year career, Alan has steadfastly focused on the introduction of new technology and services with a positive payback. He has lead initiatives to introduce and expand ATMs from a local to national networks, to create and deploy the first smart card product in the US, and the ( r ) evolution of the online banking world from telephone to PC to internet to any device banking. 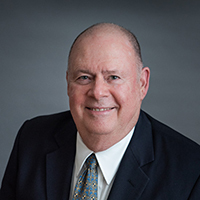 Bill McFarland, an industry expert and Principal at CCG Catalyst, brings more than 35 years of proven leadership skills, with profound knowledge and passion for improving the scope of the financial services industry. Bill is responsible for leading CCG Catalyst tactical consultants through conversion, implementation, and process engagements. Bill has negotiated countless contracts and directed over 150 system conversions and consolidations. His ability to prove the most suitable, next best action for a bank, is a second nature process for him. 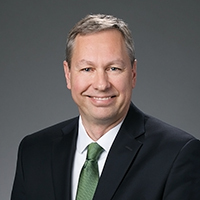 Beyond operations, contracts, and conversions, he has extensive understanding of mergers and acquisitions, information technology, process improvement, profitability enhancement, and organizational development. As a Principal at CCG Catalyst, Mark La Penta for over 30 years has been a trusted advisor to banks. Mark is a proven senior level executive, with demonstrated success in directing business transformation and delivering impactful results. Track record of bringing strategic business decisions to life with clarity and direction enabling immediate savings and assuring future, profitable business growth. Mark’s experience includes operations, technology, banking business. Adept at using sourcing to deliver value without capital expenditure. Mark has demonstrated strengths in setting strategy, creating cohesive teams, and implementing excellent leadership skills. 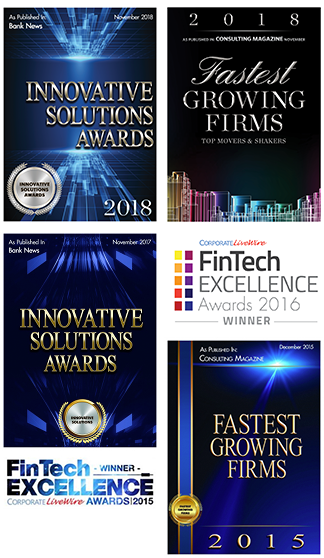 Mark provides advice and expertise for CCG Catalyst for Technology Solutions, Strategic Business Alignment, Enterprise Planning, Risk Management Technology Roadmaps, Capital Planning, Information Security, Regulatory Compliance Vendor Management, Sourcing and Service Models, M&A Technology Strategy & Execution. 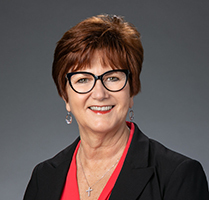 Ms. Valentino brings over forty years of financial services and technology experience in financial institutions ranging from multinational, community to credit unions. She boasts sixteen years with FIS, where under her Senior Vice Presidency, she managed responsibility over $100MM in revenue. Pat’s implementation and management of system applications, processing and advanced communications introduced new level standards and best practices in her role as Chief Information Officer with a $1.3 billion community bank. 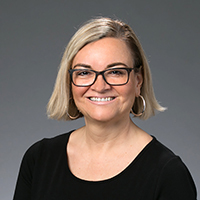 Daria is a Practice Director and Senior Consultant with CCG Catalyst, bringing more than twenty years of operations management, transformation consulting, design and modeling, vendor management analysis, and project management. Daria’s extensive experience adds to the unique and necessary skill-sets that cater to the needs of CCG Catalyst bank clients through her work in conversions, mergers, benchmarking engagements, technology assessments, and system selections. She has a proven record of identifying and implementing process improvements coupled with strong communication and problem resolution skills. Senior Consultant for CCG Catalyst, John brings over 20 years of banking and consulting experience to the firm. John manages, leads, or supports many of the firm’s assessment, project management, and process engagements. John is an expert related to operational systems, digital channel operations, call center, payments, branch operations and various other areas of a bank. Knowledgeable in regulatory compliance and proven record of accomplishment implementing the necessary controls to ensure adherence to policies, procedures, and regulations. Senior Consultant at CCG Catalyst Consulting Group, Steve Madura brings his extensive twenty-five plus years of experience in executive management, including a proven track record of acquisitions & integration consolidations, cost reduction strategies, bank operations, program management, facilities planning, data imaging, and technological integration. 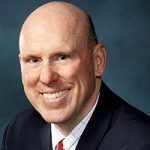 Jim brings to his position as Senior Consultant for CCG Catalyst Consulting Group, more than thirty years of experience working with financial institutions as a technology vendor as well as a consultant. Jim has constructed hundreds of financial models comparing the cost of various technology solutions. These engagements encompassed different solutions for core processing, payment processing, transaction image archives, remote image capture, Teller & Branch capture, ATM deposit balancing, e-commerce, wire transfer, image-based report and statement storage, statement formatting, and image-based document management and workflow. 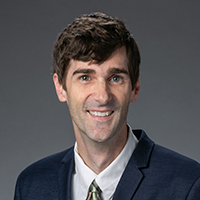 Bennett Quillen is an Associate at CCG Catalyst Consulting Group. 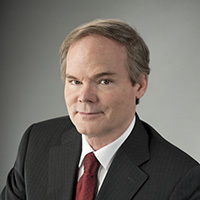 Bennett brings over 30 years of leadership in the bank technology industry both domestic and internationally. Bennet’s broad expertise extends to enterprise-wide operations, infrastructure and applications. Bennett’s experience and skills will enhance CCG Catalyst’s offerings. John Ramsey is an Associate at CCG Catalyst Consulting Group, bringing to CCG Catalyst over 30 years of experience in the bank technology industry. The insights John conveys to CCG Catalyst clients are thought-provoking, informative and a basis for setting a solid direction. John is an expert and thought leader on trends in banking and the technology required to take advantage of them. Michael (Mike) Scheuerman is an Associate who brings to CCG Catalyst Consulting Group an extensive, over 30-year background as an Information Technology Executive Management professional with widely diversified experience from the computer room to the boardroom. Mr. Scheuerman brings systems development and administration, as well as a hands-on, leading edge understanding of technology and e-Business / e-Commerce trends within the financial sector. His broad range of experience spans strategic business and technology planning, with a focus upon multi-channel integration that leverages the customer relationship. Paul Danola is an Associate at CCG Catalyst Consulting Group. With his 30-plus years of experience with the banking industry, Paul brings CCG Catalyst expertise in the enterprise banking solutions business segment that is focused on mid- and large-tier financial institutions in wealth management, core banking, business analytics, delivery channel, risk and compliance, as well as consulting solutions to the financial services industry.